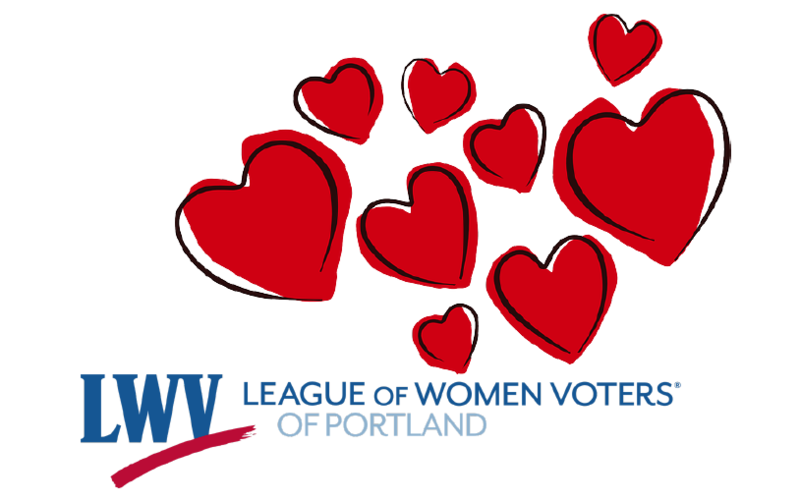 On Valentine’s Day, the League of Women Voters turns 99. Help us celebrate this really big birthday! During the month of February, consider making a gift of $20 – to honor 1920, the year we began – or a gift of $99 to honor our work empowering voters and defending democracy. You can donate through Facebook. Or click on one of the Donate buttons on the right. Please send us some birthday love. Gifts of any size will help us make democracy work right here in Multnomah County through our fiercely non-partisan, proudly grassroots action. THANK YOU!